Legend has it that costumed children visiting this wealthy Beverly Hills neighborhood on October 31 receive full-sized candy bars and even cash in their trick-or-treat bags, but we wouldn't count on that happening in reality. What you will see is a street full of lavish yard haunts draped in Halloween decor. 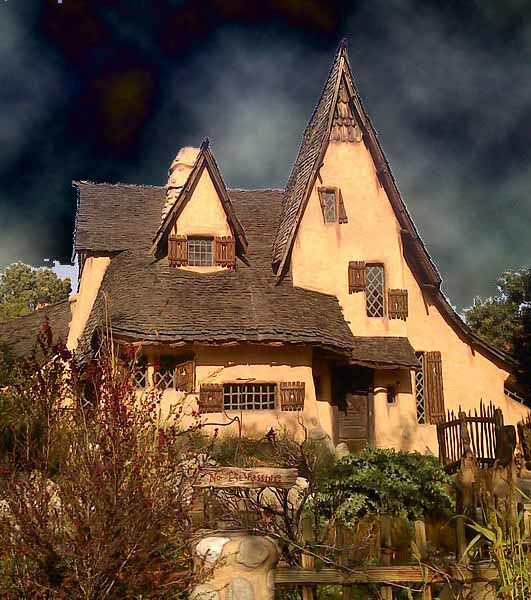 Best of all is the famous "Beverly Hills Witch House" (actually the Spadena House), designed in 1921 by Hollywood art director Harry Oliver with the deliberate intent of simulating a storybook residence. Walking by the unruly garden and murky pond, trick-or-treaters may think they have wandered into an elaborate live-action haunted house version of "Hansel and Gretel," but the Spadena residence looks more or less the same year round. As of Halloween 2017, the number of home haunts with Halloween decor had somewhat declined, but Beverly Hills Trick-or-Treating remained worthwhile endeavor on Halloween night, especially for adults on their way to the nearby West Hollywood Halloween Carnaval. Find More Halloween Haunts for Children and Halloween Home Haunts.